There are comic novels and there are novels of wit. Some novels evince humour by describing ridiculous characters in ridiculous situations; others prefer to amuse through their use of language. 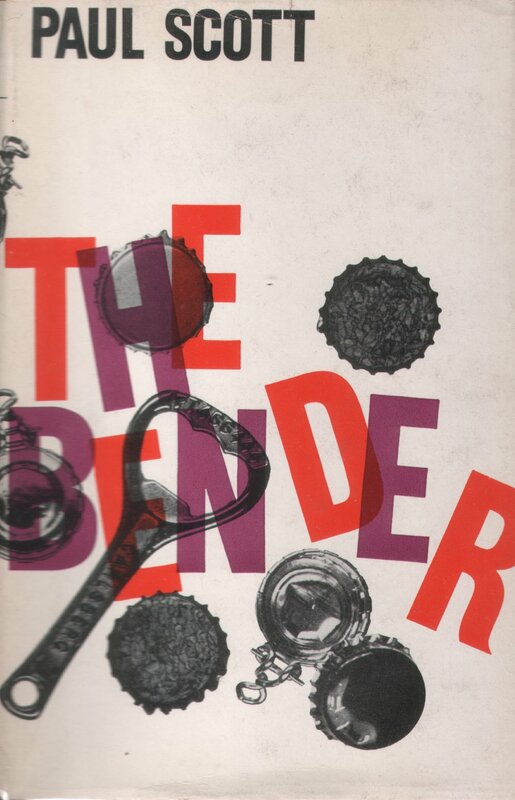 Paul Scott’s The Bender (1963) is a novel of wit and its characters, while amusingly drawn, are not comic caricatures. There is also much in the novel that points to Scott’s Raj Quartet, a use of language, voice and narrative that presages The Jewel In The Crown and its sequels. George Lisle-Spruce is a wastrel. A relative left him a legacy of £10,000, which he cannot touch. But it does provide him with an annual income of £400. Initially, this was more than enough to live on, but by the beginning of the 1960s, George is finding it increasingly hard to make ends meet on his monthly allowance. And now his brother, a successful accountant, wants repaying the £200 he lent George years before. George spent the War in Cairo, and was never in combat. Since then he’s never held down a proper job. He has some charm, but never really made the most of it. And this is despite the best efforts of his Aunt Clara – who is not really his aunt, but whose husband it was who left George his legacy. The Bender is told from the points of view of George, Aunt Clara, a real aunt who is on her death-bed, brother Tim, and youngest brother Guy (an Angry Young Man, with a play that has been broadcast on television to critical acclaim). The repayment of Tim’s loan precipitates a crisis in George’s life – though it is exacerbated by Clara’s renewed meddling, Tim’s impending change of career, and Guy’s success. The Raj Quartet are novels of consequence. While The Bender may be somewhat inconsequential, it reaffirms my admiration of Scott’s writing. Fortunately, I have many more of his books to read. Recommended. Categories: book review, books you must read, paul scott | Permalink.